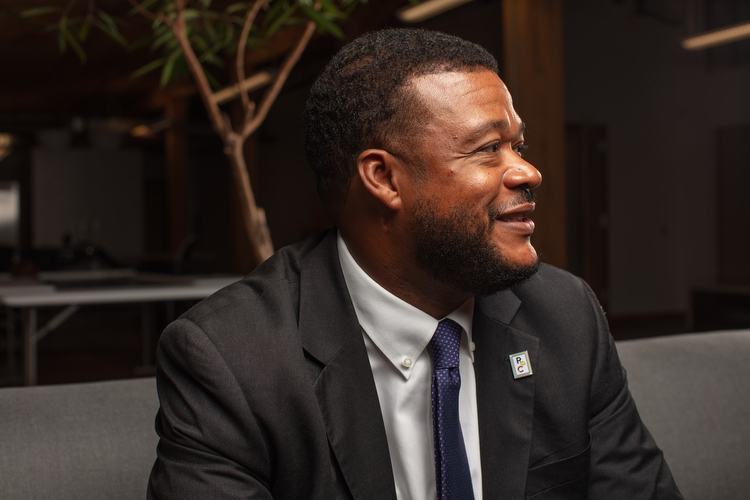 As a local emerging community development financial institution (CDFI), Rende Progress Capital (Rende) is the “only racial equity-focused CDFI to provide loans, investments and business technical assistance services to excluded entrepreneurs,” says Co-founder, Chair, and Managing Director Eric Foster. Members of this group include: Asian Americans, African Americans, Native Americans, Latinos, and immigrants. “Statistically [excluded entrepreneurs] face barriers to traditional lending from racial bias [and] other barriers. Our purpose is to eliminate the racial wealth gap through supporting and funding entrepreneurship. Many studies show that, in addition to policy change, ways to eliminate the racial wealth gap include education, home-ownership, and entrepreneurship,” says Foster. Eric FosterTo gain a better understanding of the barriers faced by community members, Rende gathered market research through surveys and focus groups from mid-2016 through early 2018. The sample populations included businesses at varying stages, in differing industries, and were representative of multiple categories of excluded entrepreneurs. According to the data, the barriers are multi-faceted. In response to potential biases and higher disapproval rates, it is common for minority business owners to rely heavily on personal funds, avoid applying for traditional loans, or even look to less-than-ideal non-traditional lending sources. 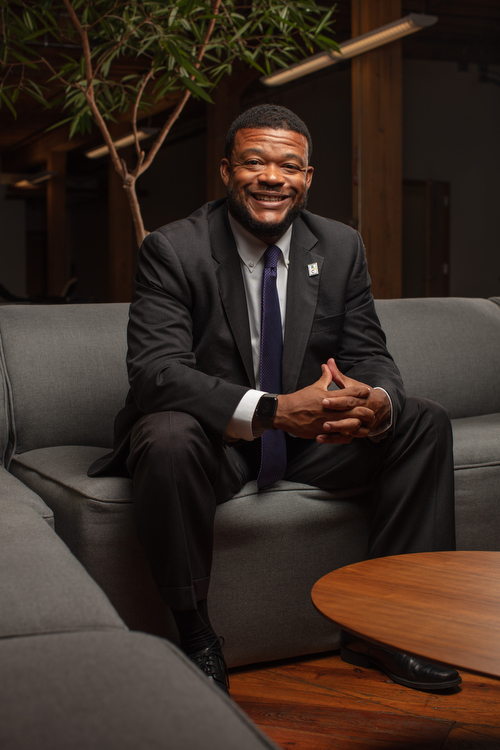 “We found in one group, 42 percent of excluded entrepreneurs, some of whom even felt themselves to be creditworthy, would tell us they would not apply for a bank loan, expecting to be denied because of racial bias and other factors,” Foster says. Rende’s research also shows, of minority businesses at varying stages of development, “10 to 20 percent have or [have considered] engaging in a predatory lending product, such as a payday loan [to finance their business],” says Foster. Founded in 2017, Rende is planning to provide their first pilot lending offering during the fourth quarter of 2018. As they look to the future of their organization, there are several steps that need to be taken to help ensure long-term success and positive community impact. To avoid some of the current racial biases and overcome lending disparities, Rende will be utilizing their proprietary system called Financing Approval through Racial Equity (FARE). After conducting the preliminary considerations and applying traditional CDFI risk management guidelines, “we will then consider a series of 11 criteria under FARE. We take certain documented racial inequities, some of them matching the barriers I shared, and we apply FARE standards to the application,” says Foster. “Conventional institutions and some other CDFIs would just look at your ability to repay, loan analysis, numbers — we look at a variety of specific social indicators of a borrower. We look holistically at barriers that a borrower has persevered through based on our research and what excluded entrepreneurs have told us. That is the most distinctive aspect of our decision-making [process],” he adds. In order to meet the needs of clients, Rende is looking to hire both a West Michigan Lending and Opportunity Officer and a West Michigan Business Development Officer. Their goal is to have these positions filled before year-end. As they look to develop their team, Rende is working proactively to help overcome challenges and potential biases internally. “We abide by racial equity values. Our staff, our board, our loan committee all have to go through learning. [They complete] everything from a racial equity impact assessment to eight racial equity values. We take steps to make sure we de-bias ourselves before we look at every loan,” Foster says. 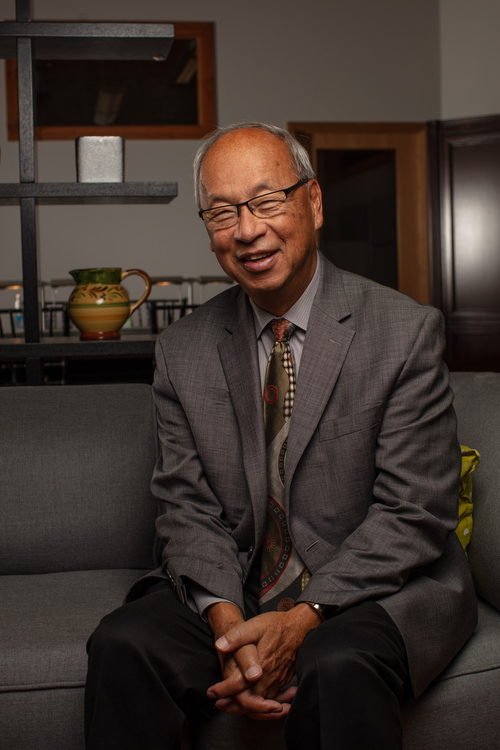 Board member Bing Goei.Foster and his team are looking at the big picture as they move forward. Through their service offerings, their goal is to help local individuals not only expand their businesses but also have a long-lasting impact within their communities and families. Leandra Nisbet is the Project Editor for the “Making It In Grand Rapids” series. She is Owner of Stingray Advisory Group LLC and Co-Owner of Gold Leaf Designs LLC and Brightwork Marine LLC. Leandra has over 12 years of experience in leadership, sales & marketing and graphic design. Through her work, she assists businesses with creating strategies for growth and sustainability through: strategic planning, marketing concept development/implementation, risk management solutions, and financial organization. She is actively involved in the community, sitting on several Boards and committees.